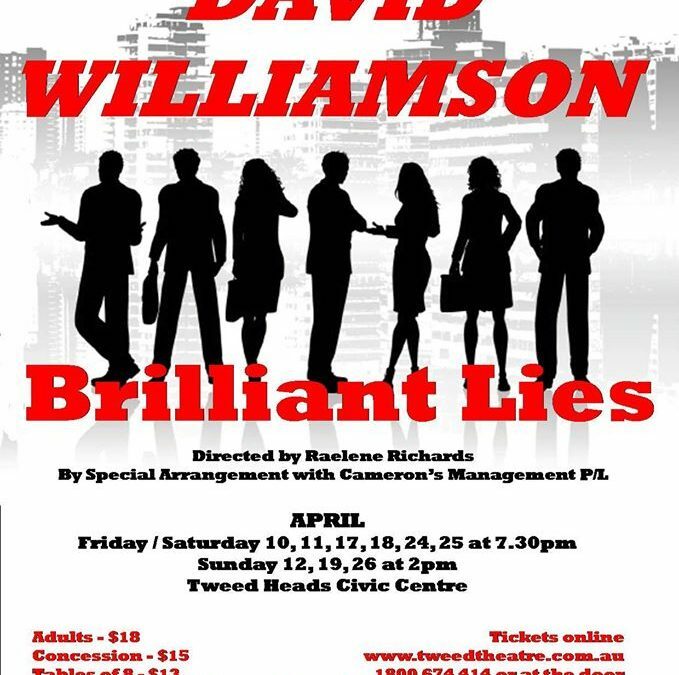 Come and watch David Williamson – Brilliant Lies at Tweed Heads Civic Centre. Directed by Raelene Richards, by pecial arrangement with Cameron’s Management P/L. Part of the proceeds go to the National Horse & Pony Rescue Trust (NHPRT). NHPRT is a community of people committed to providing a healing place for horses requiring rehabilitation, new beginnings and growth. It is their mission to make a difference in the Equine world through rescuing, educational programs and Equine Facilitated Therapy bringing horses and people together. David Williamson – Brilliant Lies will be playing on the following dates: 7:30pm, Fri-Sat, 10-11, 17-18, 24-25 April 2015; 2pm, Sunday 12, 19, & 26 April 2015. Catch the show at Tweed Heads Civic Centre, Brett Street, Tweed Heads NSW 2485. Tickets cost only: Adults $18, Concession $15, Tables of 8 -$13. This event is mostly suited for adults. If you are planning to watch the show, you may want to book our Tweed Coast Accommodation. Our resort is just a short drive from Tweed Heads Civic Centre. We offer a great selection of apartments including two bedroom, three bedroom, and four bedroom apartments. Perfect for families, friends, couples and corporate travellers, book your stay at our holiday accommodation. The self contained three bedroom/two bath apartments feature fantastic ocean views. The apartment amenities include DVDs, Foxtel, board games, pool towels, baby bath, rollaway bed, cot, WiFi, and more. The apartment can accommodate a maximum of seven guests in total.